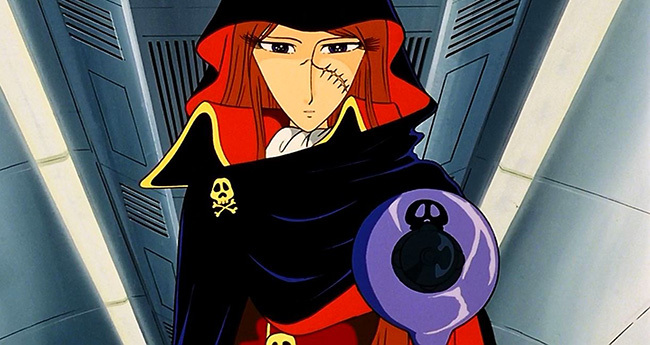 Reminds me of a classic anime, Galaxy Express 999.
hahaha, this came up when I was doing research and I REALLY need to watch it. It looks amazing! A quick update as I scramble to prepare for BitSummit! The dialogue system is almost polished up and ready to go. I'm thrilled to share that Heather Robertson is helping me out in writing the character of Jaq, the self-styled space pirate queen. I'm such a big fan of Heather's work, and I knew as soon as I had finished drawing Jaq that I wanted Heather to help bring her to life. I finally put Ena Kim's character art into the game. 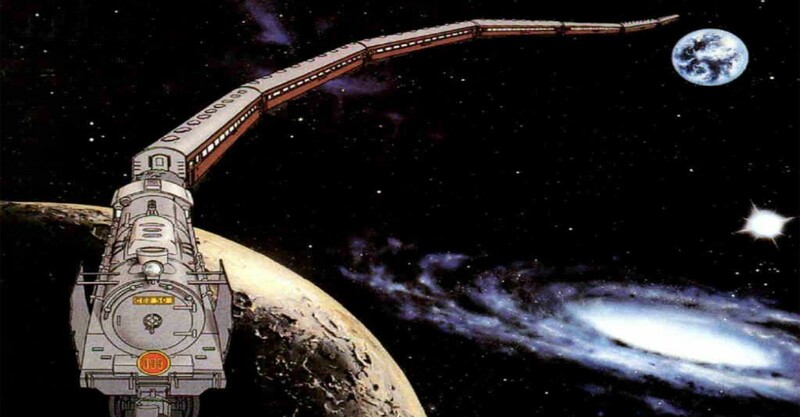 Meet Hoshi, the friendly artificial intelligence who runs the vast network of space stations spread throughout the universe! On the development front, we're about two weeks out from BitSummit and I'm polishing things to make this game presentable in demo form. And it's going well! I've added some introductory dialogue and quest bits, and it's amazing how much it makes this weird thing I've been working on suddenly come to life. To be honest, I'm a bit anxious about this event. I'm trying to keep my costs low, but stuff like travel, equipment, and promotional materials add up quick. And also, some industry people I really look up to are attending! This is my first time exhibiting a game like this, and my impostor syndrome is ever-present. BUT, I'm sure it will be fine. People are nice, and it will be a good experience. And hey, if nothing else, I've got some neat business cards like some kind of official business person! I've got a tutorial mission in with some nice button prompts at the start to help people learn the controls. Also, I restructured some stuff to allow for language localization! The BitSummit demo will have both English and Japanese UI, although I don't think there's enough time to translate all that dialogue. I might wind up making it a very simple version (e.g. "Go do this! Good job. Now do that!"). Most of the other stuff on my to-do list is polish, not necessarily features, so I feel really good about how this demo is turning out! Awesome stuff. But, seriously. 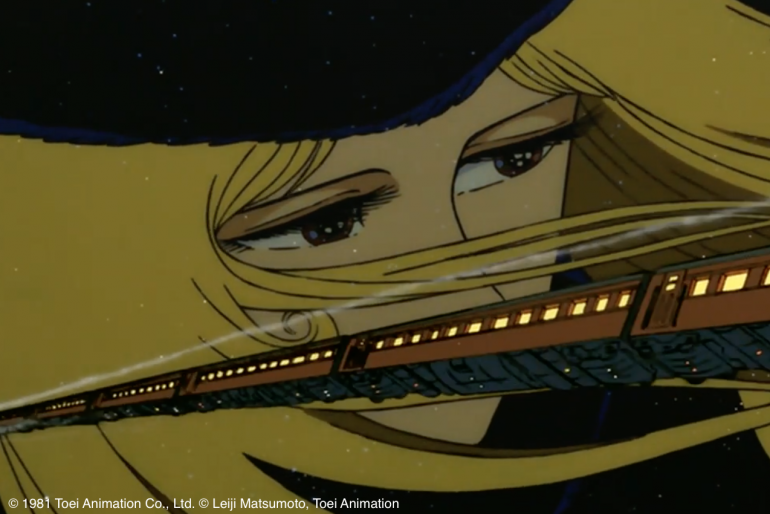 The Universe is telling you to watch Galaxy Express 999, so watch it instead of whatever small entertainment time you've budgeted for yourself (and if you haven't budgeted any of time for such relaxation, then please do so). Less than a week until BitSummit! I've implemented Japanese translations for everything, including some simple dialogue replacements. Just a few more things to polish up before I'm gonna finalize the demo build. Enjoy this gif of a chomper charging in and slamming into some space junk. Aggressive lil guys! 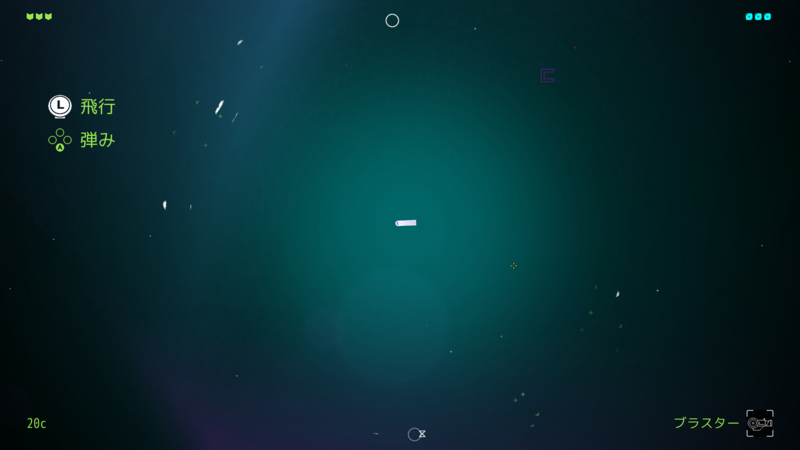 I've finalized the demo build for BitSummit, and everything's just about ready to go. Because I can't leave well enough alone, here's a new ACTION PACKED trailer! Why the choice of English and Japanese as languages for localization? I'm a native English speaker, but I live in Japan, and BitSummit is in Kyoto. There will likely be a lot of English speakers there, and I will have some help translating on the spot, but I figured it would be nice if the locals could read the text. The way I've got things set up now, though, I could potentially do more languages given enough interest and resources. Wow, what a weekend! BitSummit was incredible. 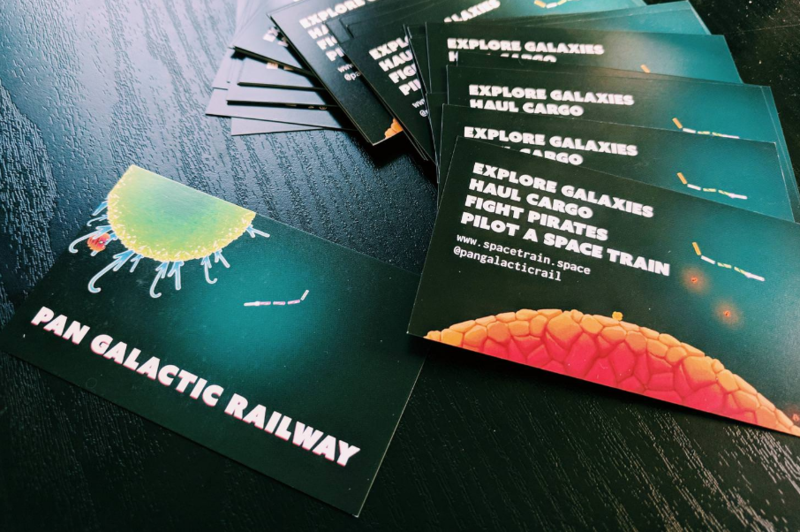 Going into this, I really thought Pan Galactic Railway wouldn't appeal to anyone but a very niche audience, but it turns out this thing has way broader appeal than I realized. Granted, the people who attend this event are already expecting weirder experiences, but we had players from kids to older folks, different genders and nationalities, all sorts of people who had very good things to say about the game. There were people who got VERY into the game, losing all track of time. One person told us, "I could have played this all day," which was the highest compliment I could have hoped for. The response to the art was so nice. 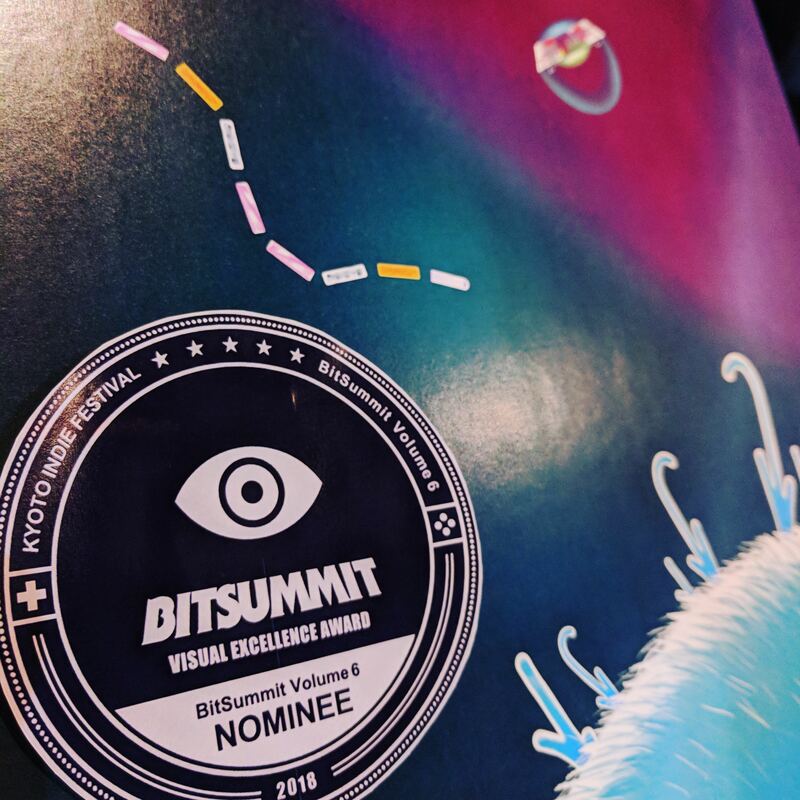 We even got nominated for the Visual Excellence Award! I was so honored to be considered in the same category as Chuchel by Amanita Design, who are long-time heroes of mine. We've got a really nice write-up in Destructoid today that sums up the game nicely: "It's a ridiculous premise that's easy to get into." Exactly what I was going for. SO, what now? Well, we got a LOT of positive feedback, so it's encouraging to know there's an audience for this game and now I know better what aspects to lean into as I build it out. Likewise, all the critical feedback we recieved is completely actionable, so I've got a clear roadmap for smoothing out pain points, making things more accessible, and creating more of the content that people enjoyed. As always, thank you for your support! 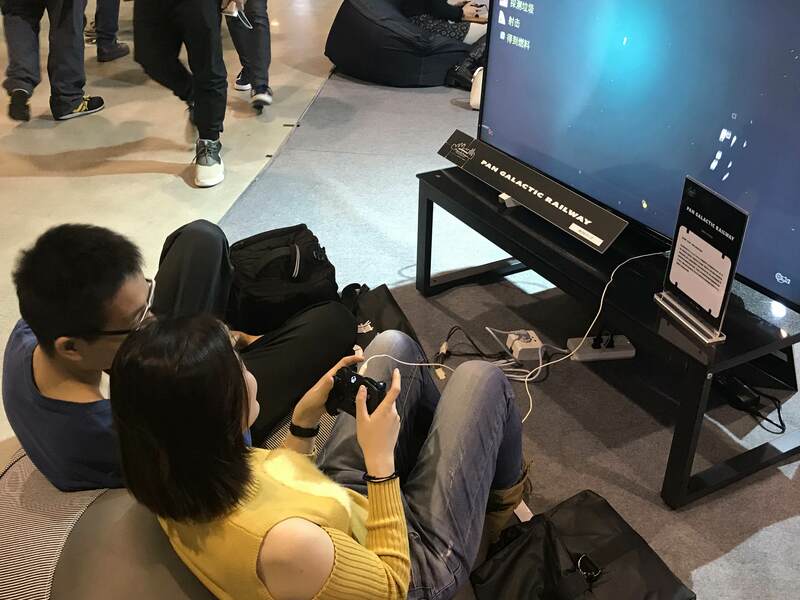 BitSummit was a huge confidence boost, but your kind comments have really helped keep me going to get to this point. I'll keep you updated as we navigate this weird, uncharted space. Quick Update: The push up to BitSummit meant a lot of shiny visual polish, but lately I've been working on less obvious stuff like a better camera, stuff with controls, and other invisible but important bits. Also taking some time to just get work done quietly since I'm not doing a big marketing push up to an event. I'll likely post more once I get back into doing more visual work. 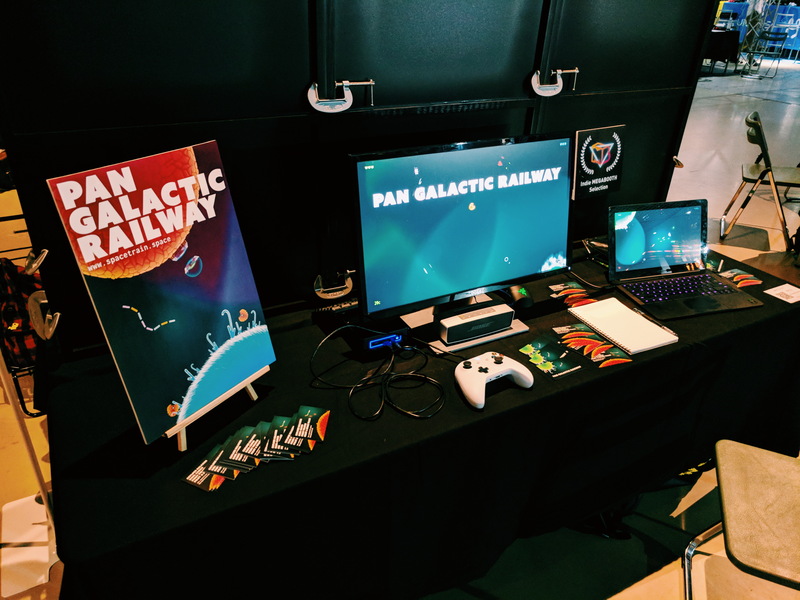 Pan Galactic Railway was invited to demo at the WePlay Games Expo in Shanghai as part of the BitSummit Roadshow. It was a very cool opportunity! Big thanks to everyone who came out and played.